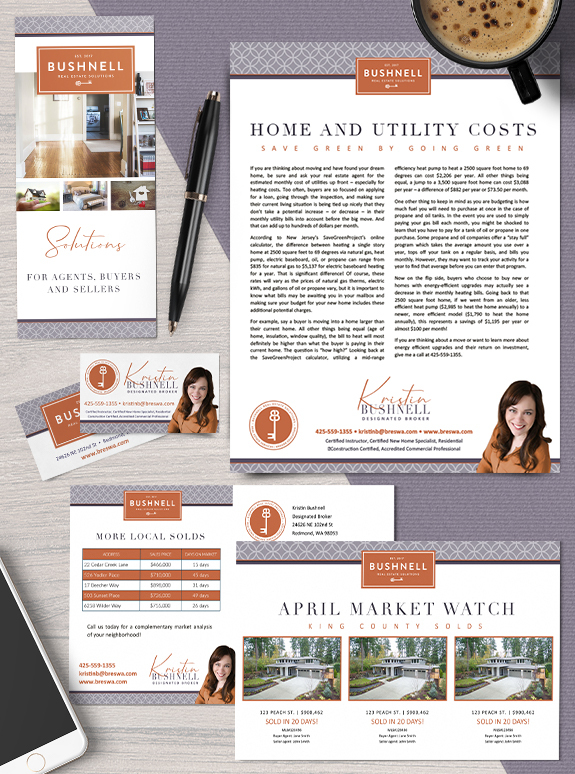 Bushnell Real Estate Solutions, led by Kristin Bushnell, needed a brand suited for a growing boutique brokerage. We built Kristin a marketing collection that can be used by the agents that join her team to convey a message of consistency, reliability, familiarity, and approachability. The design features a logo and standalone emblem that can be applied easily to print and digital marketing formats. The whitespace in the background of her marketing materials keep the design crisp and clean, while the straight lines and geometric pattern provide a classic yet modern appearance. We used subdued lavender, and eggplant colors in addition to a pop of burnt orange to make this brand stand out and appeal to both male and female agents, buyers, and sellers. Finally, we used elegant and functional fonts to tie the brand together, including a script font that communicates authenticity. This striking new brand is both energetic and modern, and we are so excited to see where Kristin takes it from here! 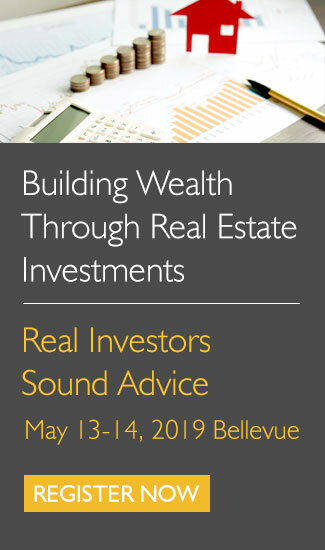 « What Do You Know About Real Estate Investing?